You know those nights where everything seems to come together? Where you look around and can only smile because you start to see the pieces? This was one of those nights. It was funny because as I sat with my companions tonight, one began to explain why cooking is so enjoyable- that it isn't for the person doing the cooking, not really. It's for those who receive it, it is an ultimate gift. It is something that makes people happy. It is wonderful. "The true cook is the perfect blend, the only perfect blend, of artist and philosopher. He knows his worth: he holds in his palm the happiness of mankind, the welfare of generations yet unborn." I hope everyone is having a great night...GO PATS! Baguettes: Homemade, Crusty and Delicious! Smithfield Is Giving Back This Holiday Season! Macadamia Brittle- Not Quite a Success! 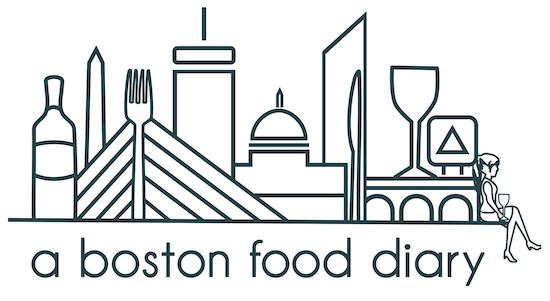 Boston's Best Chefs Teaching at the BCAE! Anna's Taqueria Names First Golden Spoon! Event TONIGHT! Harpoon Beer Dinner at The Haven! Journey 'round the World for $15 at the BCAE!